Rolex sponsored Olympian, Caroline Wozniacki, quickly beat Daniela Hantuchova to enter the quarter-finals at the 2012 Olympics. Winning with a score of 6-4 6-2 at the All England Lawn Tennis and Croquet Club in Wimbledon, the Danish pro is looking solid as she moves forward. In reaction to her win, Wozniacki commented that she is “really happy to be through to the quarter-finals” and thanked the Danish handball team for cheering her on. Only 22-years-old, Wozniacki has caught the attention of tennis fans and leading brands around the world. With Rolex as one of her main sponsors, she is often seen wearing Rolex Daytona and Rolex DateJust models both on and off the court. Currently ranked 8th in the world, Wozniacki is showing signs of greatness in Great Britain. In the second set of her most recent match, she was seen blasting beautifully placed forehand shops and was even able to break Hantuchova’s serve more than once. According to the Rolex Company, this is exactly why they chose to sponsor the young tennis player. Wozniacki is a spirited individual who is truly dedicated to precision and excellence. 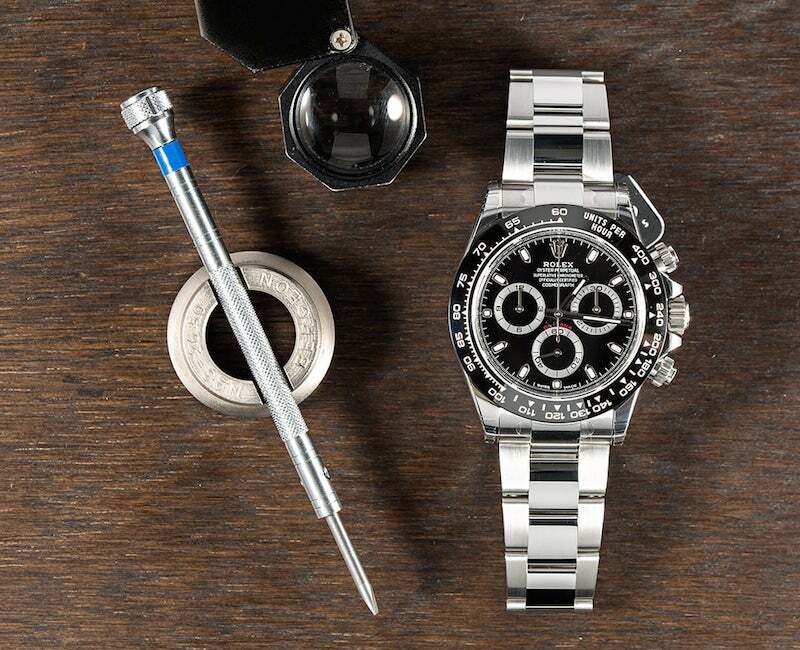 This may be why she has an affinity for the Rolex Daytona, with its many high-tech features and beautiful design. Wozniacki has been spotted with a Rolex Daytona ref. 116500. And then she appears to be amazingly cool and classic, as under pressure she is able to battle without allowing her emotions to get the best of her. Such composure has been exhibited at the 2012 Olympics. This goes along beautifully with her love for the amazing ladies Rolex DateJust, which is considered Rolex’s signature and most classic watch design. In the coming days, you can expect to see Wozniacki give it her best shot to earn an Olympic Gold. This will most likely mean that she will face the likes of formidable opponents such as Serena Williams. Stay tuned for more news from the Olympics!